Below you can view all the homes for sale in the Collier subdivision located in Atlanta Georgia. Listings in Collier are updated daily from data we receive from the Atlanta multiple listing service. To learn more about any of these homes or to receive custom notifications when a new property is listed for sale in Collier, give us a call at 404-998-4178. 3 Beds, 1 And A Half Baths With A Basement And Garage. Corner Lot. Location! Location! Location! MLS#6540488. Village Realty Midtown. 3 Beds, 1 And A Half Baths With A Basement And Garage. Corner Lot. Location! Location! Location! MLS#8568443. Village Realty. Large Pool, Volleyball Ct, Grills, Dog Walk, Car Wash Area, Clubhouse W/ Business Ctr & Fitness Ctr! Lots Of Parking! Fha Approved! MLS#6538513. Dorsey Alston Realtors. Hot Historic Collier Heights. Investor Special. Need Updating. MLS#8562311. Realties - Usa. Do Not Miss Seeing This House! MLS#6535235. Keller Williams Realty Intown Atl. Located Next To The Grove Park Area And In The Middle Of I-285, I-20 And I-85. MLS#6513598. Realties Usa. Hugh Back Yard. Won'T Last Long... As Is. MLS#6531419. Clickit Realty. You Don'T Want To Miss This One! MLS#6531449. Keller Williams Realty Metro Atl. New Deck & Paint Inside & Out! This One Won'T Last Long! ! MLS#6530924. 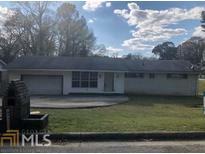 Live Love Atlanta, Llc..
3 Bedrooms And 2 Baths, The Master Offers A Large Walk In Closet And An Ensuite That Is Sure To Please! MLS#6530827. Heritage Oaks Realty, Llc. Gated, Must Call For Code And To Schedule Appointment To View Although On Supra MLS#6527370. Keller Williams Realty Atl Perimeter. Come And See This One For Yourself... MLS#6529258. Heritage Oaks Realty, Llc. Come And See This One For Yourself... MLS#8555395. Heritage Oaks Realty. 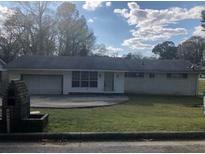 Unlimited Possibilities To Craft This Into Your Dream Home, Perfect For First Time Home Buyer Or Investors Looking To Increase The Value And Do A Fix And Flip. Must Use Seller’S Closing Attorney MLS#6526608. Gps Property Management, Llc.. 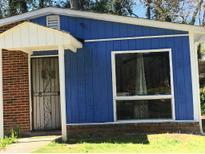 Located In West Atlanta Close To Marta, Schools, Downtown. MLS#6525763. Engel & Volkers Buckhead Atlanta. 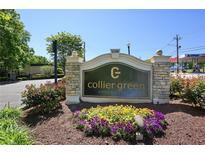 Walking Distance To Great Restaurants And Shopping. MLS#6525971. Palmerhouse Properties. Sold As-Is, Cash Or Conventional Only. MLS#6525994. Clickit Realty. Seller Will Give Concessioner Upgrades With Full Price Offer! MLS#6524986. Owners.Com. Contact Us For Walkthru Videos. Text/Email Will Receive Quickest Response. MLS#6523725. Sellect Realty Llc. Tax Records Only Indicate 2 Of The 3 Levels Of This Split Level Home. Must See To Fully Appreciate. MLS#6522505. Origins Real Estate. Just Minutes To The Interstates! Sold "As-Is" Bring All Offers!! ! MLS#6522288. Bhgre Metro Brokers. This Unit Is Significantly Larger Than Other Studio Units In Collier Green. MLS#6521458. Atlanta Fine Homes Sothebys International. Make An Appointment Today. Motivated Sellers. MLS#6520659. Village Realty. Truly A Jewel. Don'T Miss This One. MLS#6520402. Palmerhouse Properties. New Roof, New Hvac, Upgraded Electrical, New Drainage. Completely Move-In Ready! ! MLS#6518637. Berkshire Hathaway Homeservices Georgia Properties.